Is it a car? A bike? A rollerskate? 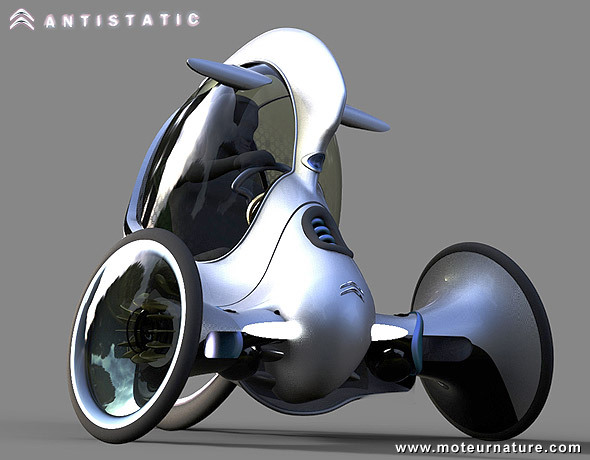 It’s neither, this Citroën E-3POD Antistatic concept is more like a dream because it doesn’t exist. It’s a pure design exercise. 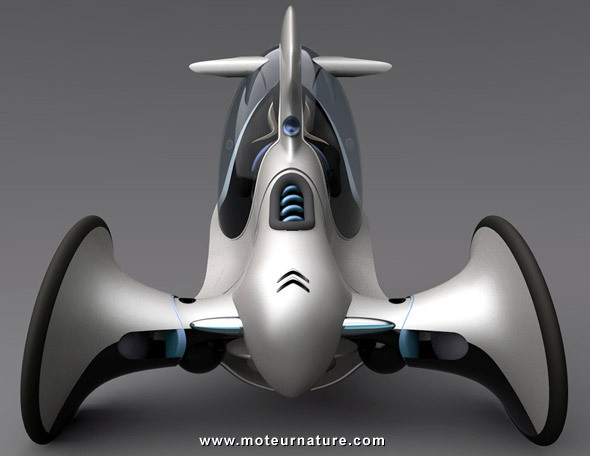 Students in automotive design were asked to conceive a compact EV with the aesthetics of a Citroën for their Interim Degree Show (second year students) at London’s Royal College of Art. 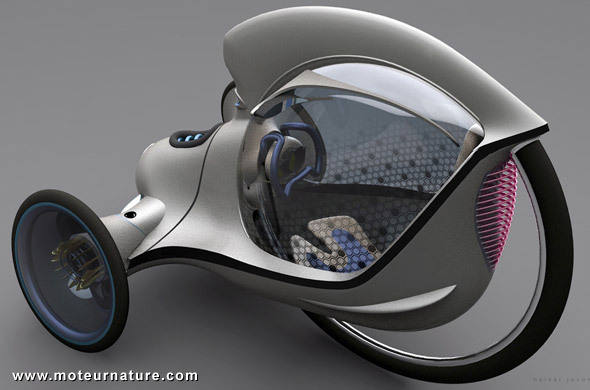 Winner was Heikki Juvonen, he called his creation the E-3POD Antistatic. Citroën representatives declared him the winner, and his prize will be a 6-month work contract at PSA Peugeot-Citroën design center in Paris. It’s a great opportunity for a young designer, but I hope he’ll be as talented designing mainstream products.